Modiphius Entertainment has a whole slew of new releases coming up for their Infinity Role Playing Game, and most of it should be hitting stores within the next month! The people of Dawn are a hodge-podge of settlers that survived human-kinds first, disastrous attempt to colonize the stars. Welcome to a crystal-clear Dawn! 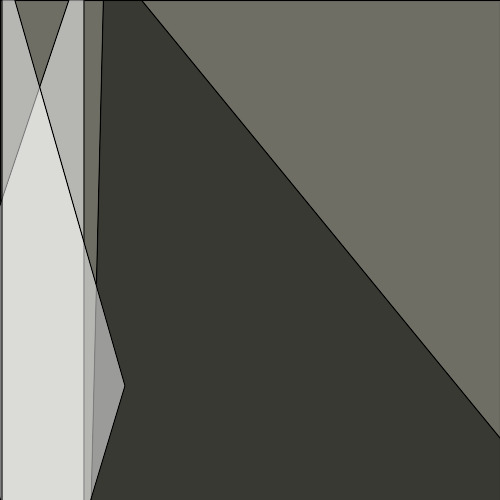 The first great expedition to the stars, Project: DAWN, began with enormous enthusiasm and unprecedented collaboration, but ended in tragedy and isolation. Despite being severed from support, and certain in the knowledge they had been abandoned, the pioneers from the colony ship Ariadna refused to waver from their purpose. Alone and forsaken, they bent themselves to the task of surviving on a cold and hostile world. 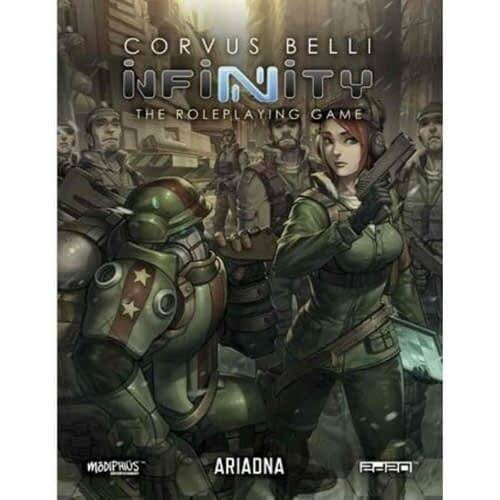 The Infinity: Ariadna Sourcebook will cover all four of the factions that co-exist on Dawn: Rodina, Merovingia, Caledonia, and USAriadna, plus details on their history, and how these disparate groups function together as a whole. Players will also have rules that will allow them to play as regular, human Ariadnans, or as Wulvers and Dogfaces. Suggested retail on this is $25.99, so I’m assuming it’s a complete GM screen. Start your adventures in the ruins of Paradiso with this geomorphic tile set. Marked with a 30 x 30 mm grid for use with official Infinity miniatures. The map packs carry a suggested retail price of $24.99, and will definitely add a ton of atmosphere to your RPG sessions in the Human Sphere. 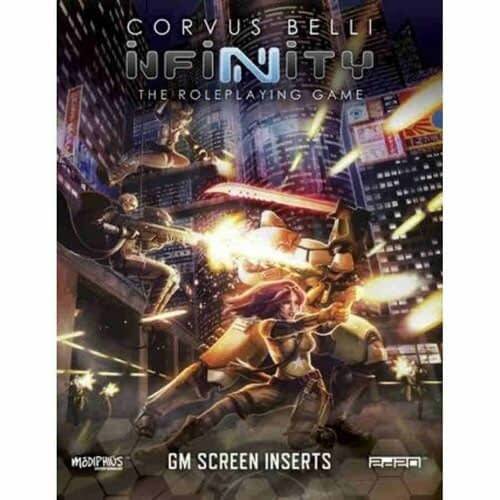 The Infinity RPG uses Modiphius’ 2d20 role playing system, which I had a lot of fun with. It’s the same system they used on their Star Trek rpg, and their new John Carter of Mars game. 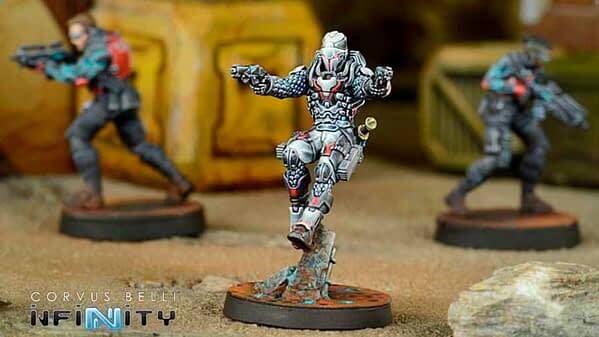 One of the really nice things about the Infinity RPG is that it already has a huge collection of miniatures available! Curious about Infinity? 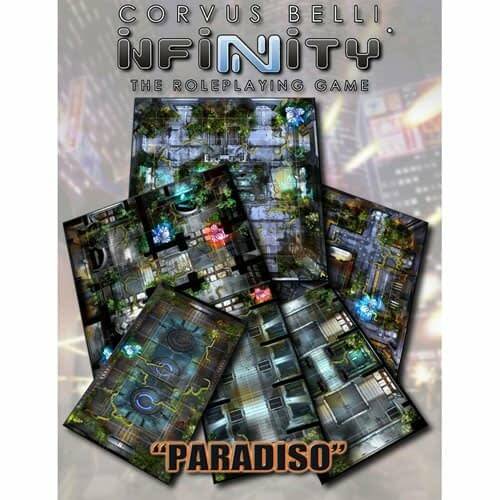 The Infinity RPG is based off of the table-top wargame (of the same name) from Corvus Belli, which features exceptional engaging game play and some of the best miniatures in the market. 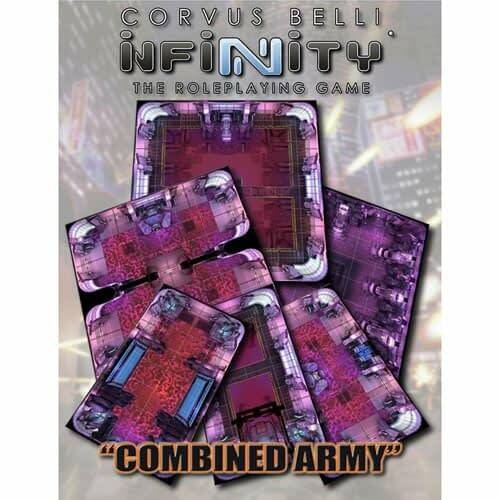 Set roughly 175 years in humanity’s future, Infinity finds humanity cast out amongst the stars, with conflicts flaring up between the various political factions and their militaries. Each faction has their own stakes at play in the universe, but the outside threat of the alien Combine Army could doom the entire human race. Humanity has reached the stars. Massive, internationally-owned trade ships use wormholes to jump from one star system to the next, in a network of looping routes known as Circulars. Circulars are administered by an intergovernmental organization called O-12, an offshoot of the United Nations that has been vested with greater autonomy and capacity to enforce its decisions than its predecessor ever had. A single Artificial Intelligence, named ALEPH, is allowed to exist with the purpose of aiding O-12 maintain the fragile balance of power. The community behind Infinity is comprised of some of the most genuinely nice people I’ve ever met. It’s literally the least toxic gaming community I have ever experienced! All of these items are available for pre-order now, check your local game store for information!